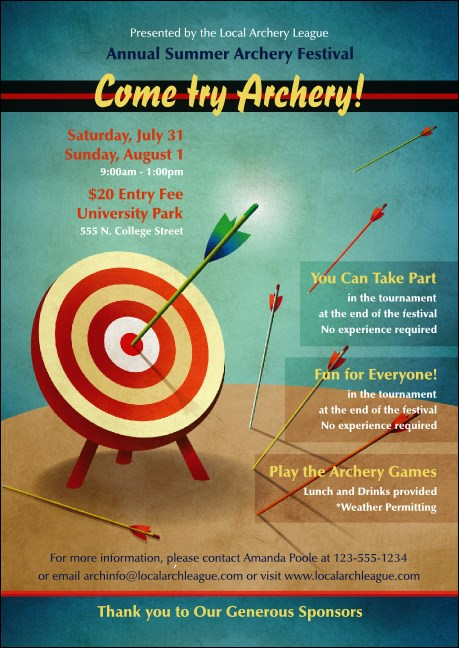 Make sure everyone is game for your event when you send the Archery Club Flyer. It's easy to focus on 23 lines of celebration specifics with arrows soaring toward a red, orange, cream and white target that's been hit dead-center. The active, whimsical tone can help keep interest high. Send the right club flyer with TicketPrinting.com!